Brosna Press are designers and printers of the most creative and highest quality books, booklets and company reports, annual accounts. We produce everything from hardback to softback books, saddle stitched booklets, match, concert and event programmes, annuals, local histories, sporting histories and more. Each project is approached individually, with the end product clearly communicating the client's key message, and promoting the best qualities of the organisation in an imaginative way. Working with Brosna Press ensures your report doesn't end up being left on the shelf. We'll deliver on time and on budget. Call us for a free quotation on 090 6454327. 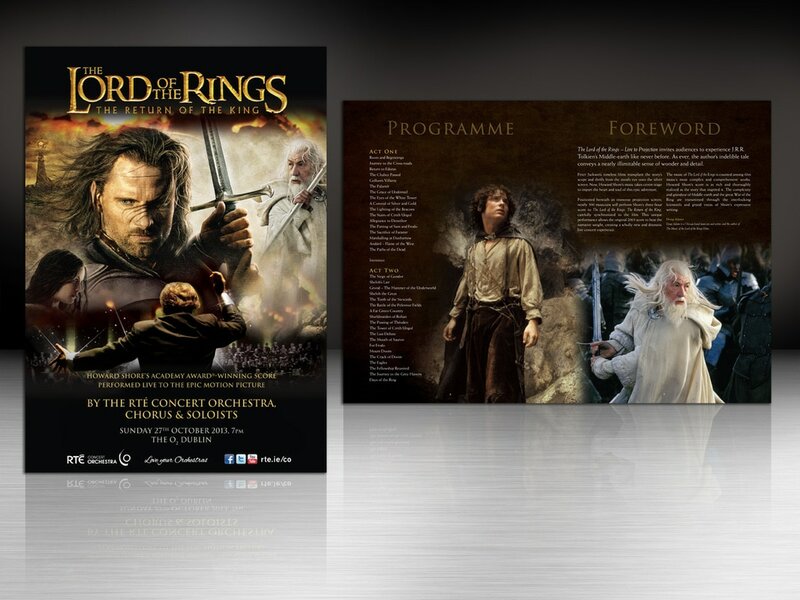 24 page concert programme for the RTE Concert Orchestra's live screening of Lord of the Rings.